Now that heavyweight champion Cain Velasquez is out of UFC 180 with a knee injury, it’s time for the organization to kick their promotional efforts into overdrive in order to sell the pay-per-view broadcast. The first hurdle has been cleared with an extended video preview release. Unfortunately for the UFC, that might not be enough. 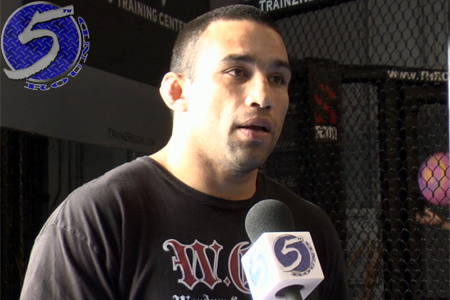 Fabricio Werdum (pictured), who was slated to challenge Velasquez for his throne in the show’s featured attraction, will now battle veteran Mark Hunt for the interim heavyweight title. Welterweights Jake Ellenberger and Kelvin Gastelum co-headline the November 15 lineup. Arena Ciudad de Mexico in Mexico City, Mexico hosts the festivities.